Nairobi is literally rotting – garbage, sewer, potholes in the CBD. 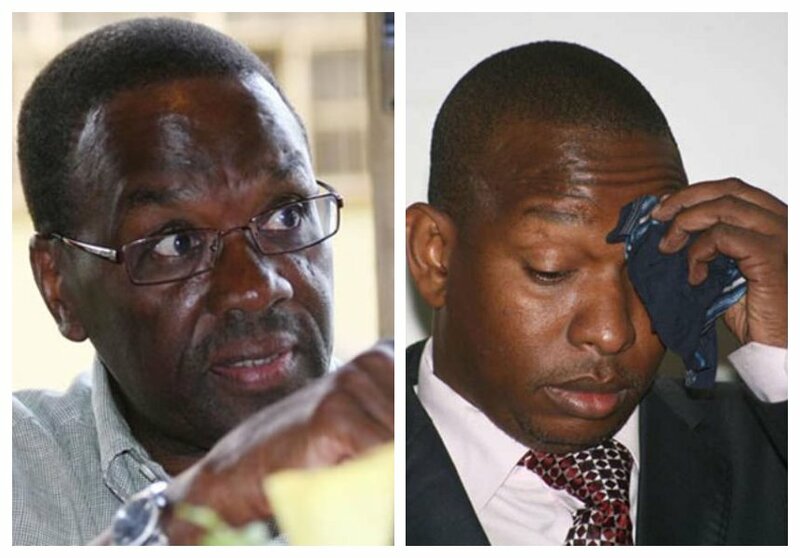 No wonder recent TIFA poll ranked Sonko as the poorest performing governor. The survey rates Sonko’s poor performance in environmental cleanliness as well as maintenance of roads and drainage systems. Former Chief Justice Willy Mutunga decided to use mother tongue to hammer home the message to Nairobi governor who comes from the same ethnic community as him. What were you doing in Dubai? 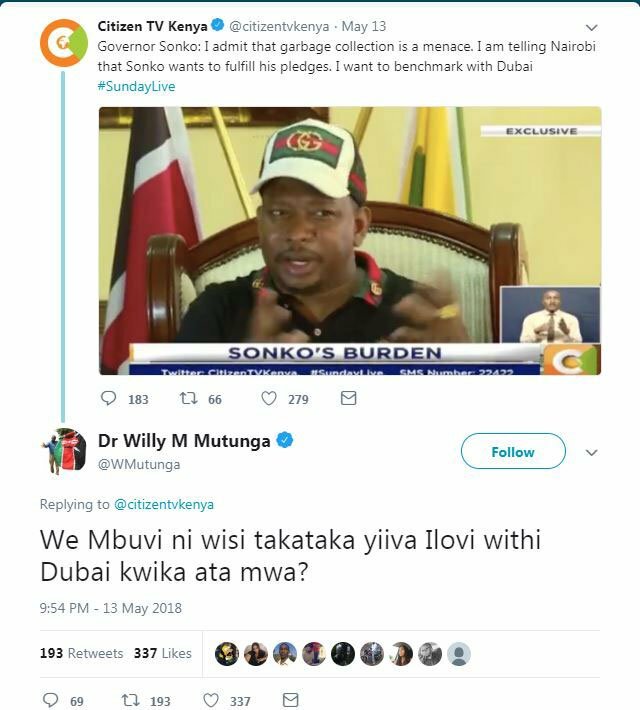 Mutunga questioned why Sonko went on a benchmarking trip to Dubai on waste management yet the garbage menace was in Nairobi. The former CJ was replying to a tweet by Citizen TV in which the Nairobi governor discussed his trip to United Arab Emirates (U.A.E). Mutunga’s tweet sent Kenyans on Twitter (KOT) into a frenzy, most people couldn’t agree more with the former Chief Justice.